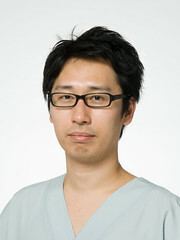 Post written by Yohei Minato, MD, from the NTT Medical Center, Tokyo, Japan. With the transnasal endoscopy, we successfully performed hybrid endoscopic submucosal dissection (ESD) of an early gastric cancer without sedation. Endoscopic Submucosal Dissection (ESD) is a technically demanding and time-consuming procedure, which is usually performed under sedation. Recently, hybrid ESD was developed as an alternative therapeutic technique for achieving safe, easy, and quick en-bloc resection of superficial gastrointestinal neoplasms. In addition, transnasal endoscopy is better tolerated and can be performed without sedation. The newly ultrathin-type endo-devices allowed us to perform endoscopic resection with transnasal endoscope. Via the nasal route, we were able to safely and efficiently resect the lesion en bloc without any adverse events. Histopathology revealed R0 curative resection of the intramucosal adenocarcinoma. ESD is a technically demanding and time-consuming procedure, which is usually performed under sedation. Therefore, it is associated with some definite risks, especially in elderly patients. To avoid an excessively invasive approach to treatment, conscious transnasal hybrid endoscopic submucosal dissection can be an option that is less invasive and shorten the procedure time. By showcasing this video, we hope to demonstrate the ability of the hybrid ESD via the nasal route without sedation. With this approach, endoscopists now have an alternative method to provide optimal en bloc resection for high-risk patients of sedation. The newly ultrathin-type endo-devices that we used in this video case are not available outside the Japanese market, but we expect that these devices will soon become available around the world.